Travel drones are getting more and more popular these days and more people are taking their drones with them on their travels. 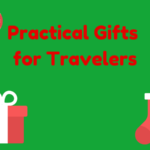 If you are reading this post and looking for tips for travelling with your drone, chances are you took advantage of the holiday sales and bought yourself a drone or are hoping to get one as a gift. 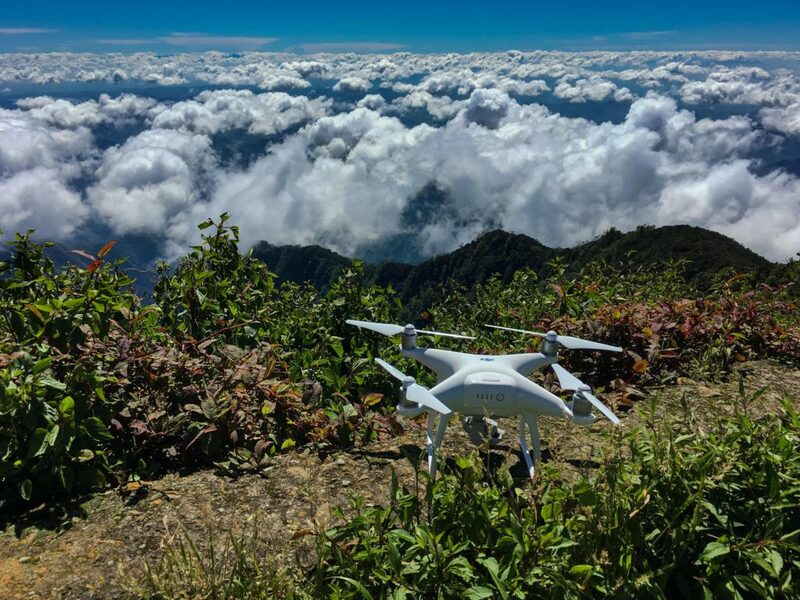 To help you plan your trip and make the best use of your drone, I have asked my fellow travelers that use drones for their best tips when traveling with a drone. 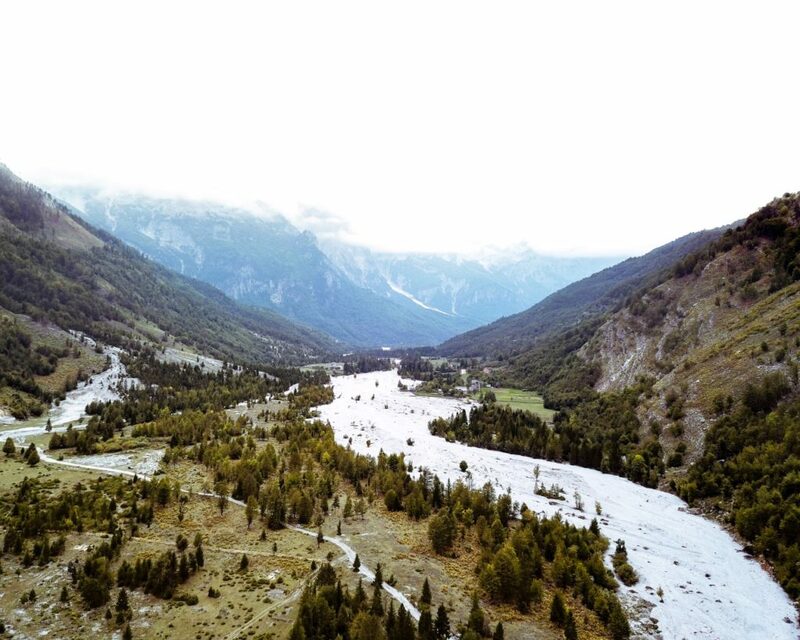 By Jess of Longest Bus Rides, an off the beaten path solo travel and photography blog. Every destination has its own laws and regulations, whether a country, city, or national park. In the United States it’s best to assume that drones are not legal to fly on any government land, unless you can confirm otherwise, as fines are very high. Keep in mind that drones are new consumer technology and laws change quickly in this realm. This is the reason I never rely on information more than a few months old. 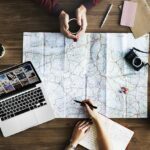 My research starts with Google, the DroneMate app, and Facebook groups for my destination or even reaching out to bloggers based at my destination (they’re generally very friendly!). RELATED – Looking to buy a new travel drone? 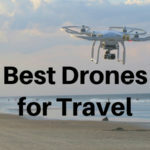 Make sure to check out our comparison post on the best travel drones as recommended by top travel bloggers. There is nothing worse than setting up the perfect video or photo with your drone when the dreaded beep begins stating the battery is running low. Depending on the drone it may automatically start coming home causing you to miss the perfect opportunity or if it doesn’t you know you don’t have long before getting your drone back on solid ground. This, of course, becomes much worse in freezing temperatures due to batteries performing poorly in the cold. Therefore, my full proof drone tip is to travel with a spare battery and ensure you always have one fully charged. Thus, when the perfect opportunity arises ensure your full battery is inserted into the drone and fly away. One of the first things I bought for my DJi Mavic Pro were a set of ND filters. I shoot a lot of video and I always aim to film at 1/50sec for a real cinematic look. However, without ND filters this is just impossible – in bright sunny conditions you’re looking at 1/1000 sec and this causes a horrible staccato effect that really reduces the quality of a video. I’ve found ND filters not only give me more control over what shutter speed I’m using, but some of them boost the colour profile of DJI drones too. It’s a win win situation and I couldn’t travel without these now! It might seem obvious, but having a good quality case is essential when travelling with a drone. Make sure to buy a case specifically designed to fit your model of drone as it will provide better protection. It’s also important to make sure the case is small enough to easily carry around, whilst also being able to fit in your controller, at least one spare battery and any other accessories you want. To ensure your drone is properly protected, it’s best to opt for a hard case over a soft case. This is particularly crucial for taking your drone on planes, as it will help protect it against heavier hand luggage. Good quality drones are often very expensive, so a sturdy case is a worthwhile investment to keep it well protected on your travels. So you’ve decided you want to travel with your drone, how are you going to transport it? Even if you have a small one that folds up, it’s still bulky, fragile and difficult to keep it safe while you’re in transit. My best suggestion for keeping your drone safe when you travel is to buy a camera bag specifically for the drone. If you have a foldable drone like the Mavic Pro, any sort of padded camera bag will have soft dividers where you can build the perfect-size padded space for your drone and accessories. You can even get anti-theft camera bags for added security. If you have a larger and bulkier drone, have a think about how you can get the most amount of padding around it. Imagine it being thrown on the ground in its bag if it didn’t survive the fall – you need a new bag! Drone flying has gotten a little more complex through the years, as the inevitable tide of rules and regulations rushes to catch up with new developments in the technology. In the past, provided you weren’t within a few miles of a major airport or military base you could rely on few problems. But recently, no-fly zones have begun to sprout up all over the landscape. More and more urban areas and national parks have begun to enforce these zones (enforced via locational ‘geo-fencing’ software I might add, rather than the more exciting prospects of miniaturized air-aircraft batteries or dogfights with specially trained albatrosses), so it’s important to check before setting out to avoid disappointment. Just because you’ve flown there before doesn’t mean things will still be the same, for example, the city where we are now based has changed its no fly zones at least 3 times in the past year, going from a free for all, to a complete ban, to now restricted flying zones just around the city centre and the university campus. You can usually find updated maps online, or through your drone software. So check carefully, and as close as possible to the time of your visit. Make a list of the drone locations you are interested in beforehand. You can use tools such as Google earth to scout your locations and find interesting angles. This will give you an idea of what your location looks like from the air as well as the ground. You will also need to consider what altitude works best for your location. Don’t be afraid to try different altitudes and angles of your target to get the best possible shot. Lighting is an important factor; you will need to figure out the direction of the light during different times of the day and select the appropriate time. 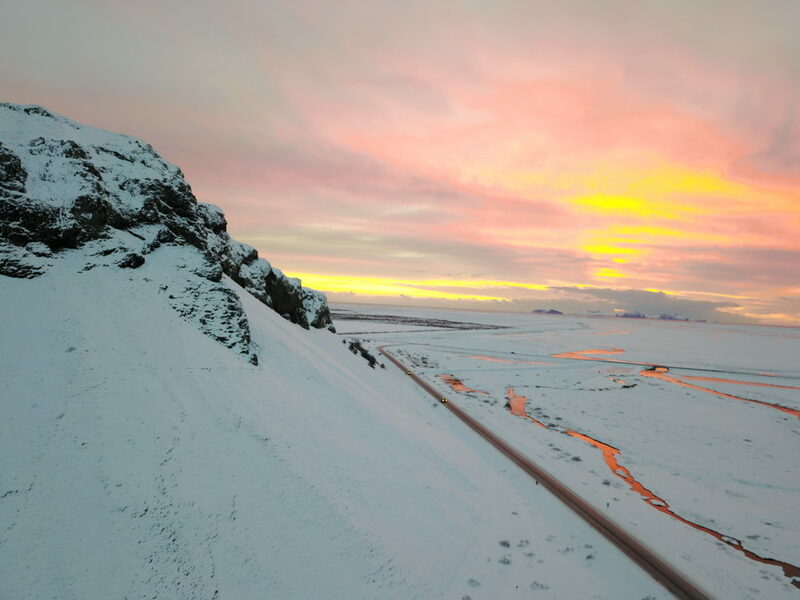 Lastly make sure you fly your drone in good weather; snow, rain and wind can be a menace to your drone. I’ve seen a few drop out of the sky (mine included), so I’m always super careful about where I fly them. The best places to fly them are in open fields, beaches or anywhere where crowds are sparse. It’s so easy to think of them as toys, but they can and do malfunction mid flight occasionally. I’ve had one of mine drop out of the sky into a lake due to a technical error, since then I’ve always been super strict about where I fly if there are crowds around. If you’re traveling with your drone you, most likely, need to pack LiPo batteries. You can only take LiPo batteries with you in your hand luggage and airlines won’t allow you to check them. LiPo batteries can combust, so you have to do everything you can prevent this. Cover the battery terminals with gaffer’s tape and place the batteries inside a fireproof, special LiPo battery, bag. Don’t forget to drain the batteries before you’re headed to the airport. You need to check with your airlines how many LiPo batteries you are allowed to take. When you want to use your drone in cold temperatures, or when you’re traveling through cold temperatures, you need to keep the batteries warm. One way of keeping the batteries warm is keeping them in a warm pocket. The batteries drain quick in cold temperatures. So if you can place them close to your body that would be perfect. You can also put the batteries in a sock, which is a better option if you have the batteries in a case. The absolute best place to warm them is close to your body. For instance, wear a sweater with pockets and put a few batteries inside the pockets. Make sure you have a plan to back up your video footage during your travels. There are multiple ways you can ensure the drone videos you’ve taken don’t get lost or damaged – this can include transferring everything onto an external hard drive or onto a cloud account. Also consider keeping multiple memory cards handy to switch out in the event that you need more storage space or don’t want to have all of your hard work on one card alone. We recommend purchasing a tablet, or other lightweight and easily packable device, and an external hard drive to use as a storage space and transfer mechanism for your footage. At the end of the day, move the footage you’ve collected onto the tablet and use the external hard drive (or two) as your secondary backup. This protects the footage you have collected without worrying about access to WiFi or other services. If you’ll be posting your drone shots on a video channel or blog that is monetized (whether with ads, affiliate links, digital product sales, etc), you’re technically using your drone for commercial purposes, and you need a Remote Pilots Certificate from the FAA. The test costs $150 and takes a day of studying. I enjoyed the process because I learned information about air space regulations, weather patterns, and safety precautions that I would need to know anyway – even as a hobbyist. 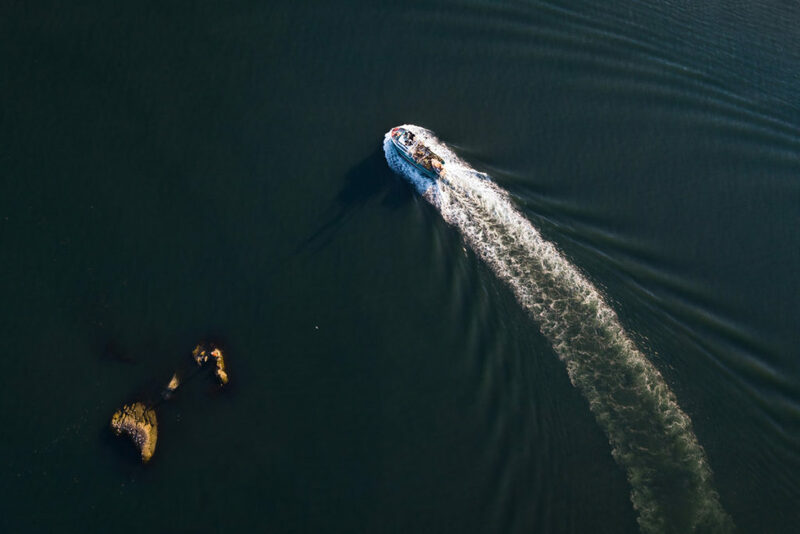 The fines are too big to risk not obtaining your certificate, and who knows… being commercially licensed might one day make the difference between you getting permission to fly your drone at a particular location and capture the shots you’re after. Places are getting more strict about drone operations every day, and it’s best to play by the rules when federal airspace is involved. When planning your flight take some time to research the area’s wildlife. Your flight shouldn’t approach resting, nesting, or feeding animals as drones can negatively affect wildlife. For example it can flush nesting birds, can cause resting seals to flee toward the water trampling others during their escape, and can dangerously raise the heart rate and stress level of bears. 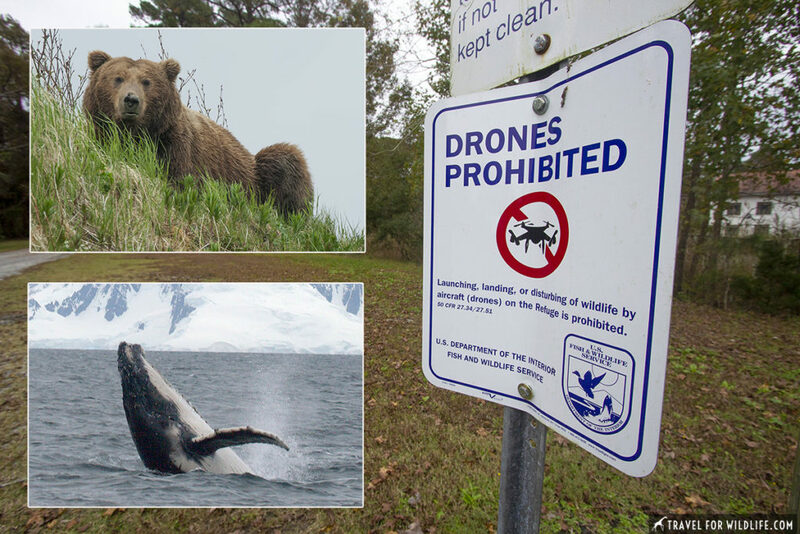 These are just some of the reasons that drones have been banned from National Parks and National Wildlife Refuges in the US. The ban carries a maximum penalty of a $5,000 fine and six months in jail. Other countries have different rules, and it is always important to check the rules for each country. In South Africa, a visitor was banned for life after other visitors reported him for flying a drone in Kruger National Park. If you visit a national park in South Africa and carry a drone, make sure to disclose it when you enter the park, as park officials will seal it until you leave. This might save you a hefty fee or ban for having an unsealed drone found in your car! Be cautious and conscientious about flying your drone near wildlife. Drones can be seen as a threat to wildlife, and animals will expend unnecessary resources to either defend their territory or flee somewhere they’ll feel protected from your drone. The best consideration is to pinpoint the wildlife present near your flight zone prior to take off, and as soon as their behavior changes in association with the drone’s presence, discontinue flying. Consider having a spotter, meaning one person watches the wildlife’s demeanor for any behavioral changes or stress, while the other operates the drone. This is not only for the wildlife’s safety, and the ethics consideration of flying drones near wildlife, but also for you and your drone’s well-being. A bird dive-bombing your drone can easily take it down, and likely injure the bird in the process, as well as leave you liable for wildlife harassment charges. With so much effort spent capturing your drone footage, my top tip would be to ensure you have a plan in place to make best use of it. Simply put you have 2 choices. Either you learn how to edit video footage yourself or you hire someone who knows how to. 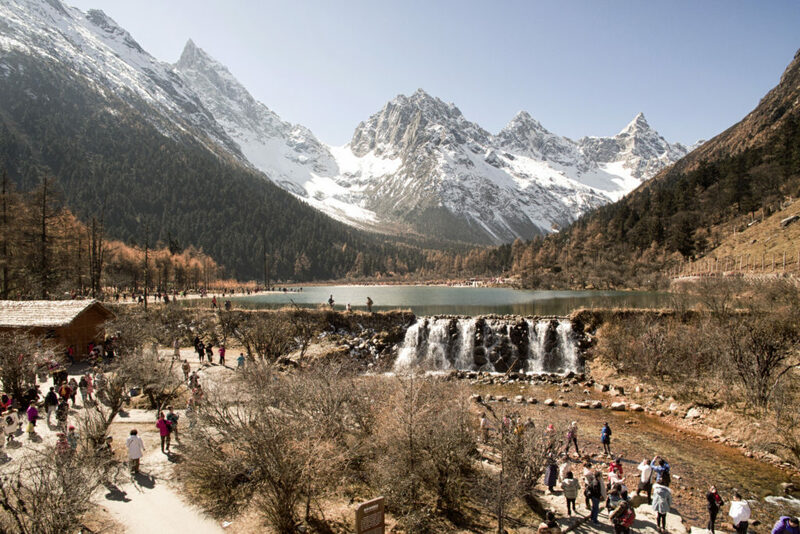 Making breathtaking travel videos are the ultimate reminder of your time abroad. So failing to make use of it is almost a sin! Personally, we are in the process of following both of these options. 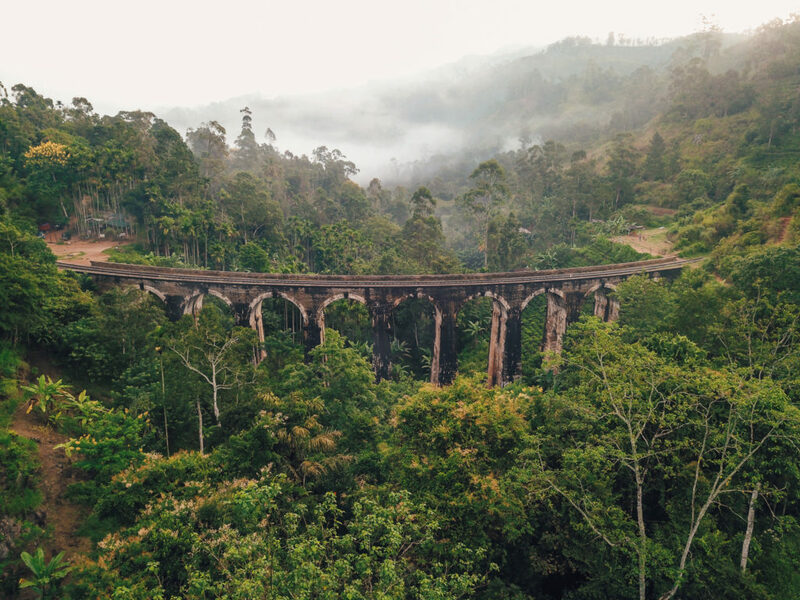 We have a friend who is great at video editing, and is currently working through our footage in Sri Lanka to make some tantalizing travel videos. At the same time, we have downloaded Adobe Premiere Elements and are busy learning and practicing our skills. Hopefully these tips have prepared you for your first trip with your drone. 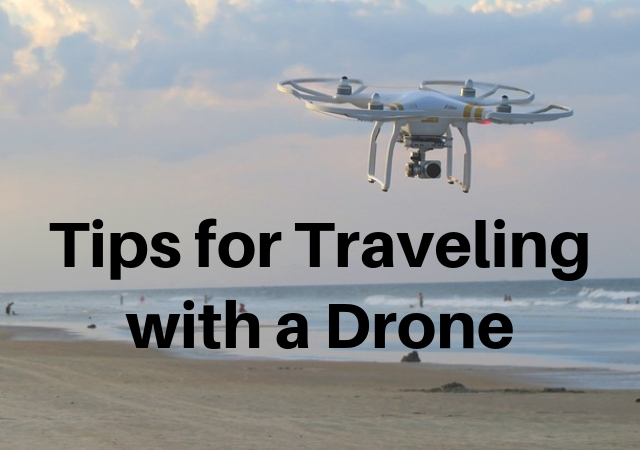 Feel free to add any other tips for traveling with a drone in the comments below. Disclosure: I am a participant in the Amazon Services LLC Associates Program, an affiliate advertising program designed to provide a means for me to earn fees by linking to Amazon.com and affiliated sites. Superb write-up. Your tips are really useful. I totally agree with researching on the no-fly areas, because I once was caught in such a situation. Never knew batteries had connection with temperature. Thanks for the heads up! © 2019 The Savvy Globetrotter. All rights reserved.